In today's hectic society, it can be easy to feel alone and insignificant. I think that's one of the reasons we so often see news stories featuring "Random Acts of Kindness". You know, the one where a struggling waitress receives a tip so generous she packs in waitressing for good or the one where a family get to the top of the line at Disney Land only to discover their trip has been paid for by a kind Samaritan! I don't know about you but these stories always make me smile. OK, so no rich stranger has decided to anonymously gift me a free vacation or even a cup of coffee but I digress! 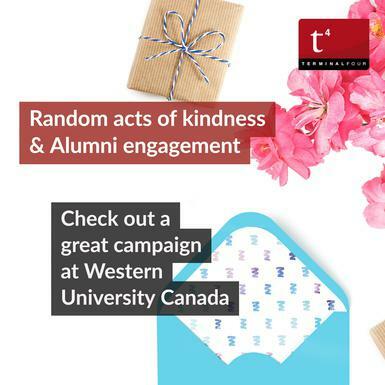 We came across a recent campaign from Western University in Ontario, Canada that not only made us smile but it also got us thinking, why aren't all universities doing something like this? Their idea was a simple one but it's one that has received award nods and a whole pile of media coverage. The university asked that alumni send a note of advice or encouragement to the new student living in their old residence room. The project was dubbed the "Kind Mail" project and the organisers were initially hoping to receive 200 responses to their request. However, in less than 3 days, they had received a whopping 1400 responses! 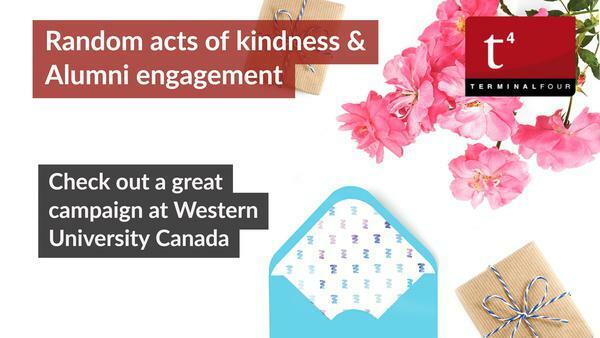 The Be Kind campaign is significant for so many reasons; the first being to welcome new students and the second being alumni engagement. For students starting out in a new environment, a thoughtful and encouraging message can mean an awful lot and for alumni members just starting out in the world, it's nice to feel remembered. So often, when we here the world Alumni…we automatically think donation. It's important to remember however that a university has to nurture those relationships first. Recent graduates, who often don't have a lot of disposable income, are often left out when it comes to alumni campaigns. A campaign such as this one, doesn't require a huge amount of investment but the payback can be considerable. In this case, 1400 alumni members took part and the project garnered media attention from national media such as The Globe and Mail, CTV National News, CBC Radio, AM980 News and the Gazette. What do you reckon, would a campaign like this one work for your university?